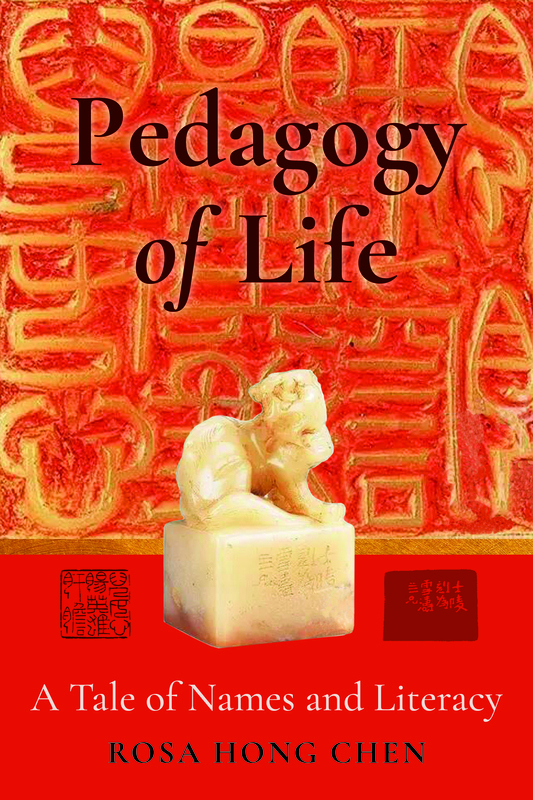 Pedagogy of Life takes its readers through the echoing stories of the half-century, historical Cultural Revolution of China to the literate lifeworld today. Rosa Hong Chen offers a gripping array of personal and kindred stories woven into the power of words and empathy of art through the volutes of writing and dancing for life, expressing genera of warm melancholy, weighty sensations, compulsive sobs, and refrained elation. It is for the existential history of individual lives and communal sharing that life creates a pedagogical condition of possible experiences. Life itself forms a historical and social path of human growth and maturation. In a philosophical and educational autoethnographical inquiry, the author examines the nature of literacy for those marginalized and oppressed; Chen explores how one’s name and the ways in which that name is used affect a person’s self-knowing and knowing of the world. This book exemplifies the idea that individuals’ autobiographical stories are importantly connected to wider cultural, political, and social meaning and understanding. Pedagogy of Life echoes readers’ musings, affects, relations, imagination, choice, learning, teaching, and much more, because we, each and all, have our own names, ways of uttering, writing, and dancing, and, ultimately, our own ways of living, knowing, and becoming. Note on the Cover Image –Figures – Preface and Acknowledgments – An Echo of Silence – Prologue – Sentiment, Pathway, and Pedagogy – Life Stories, Currere, and Aspirations – Part I: In a Place, at a Time, with Kinship – Ebb and Flow: Relation of Incidents – Ties of Life and Death: Our Names and Naming – Names and Literacy: A Braiding of Two Strands – Part II: Life Sentiment and Literate Assimilation – The Weight of Names and Words – The Bearing of the Named – Connection and the Narrow Escape – Social Deprivation and Action – Part III: Pedagogy of Life – A Pedagogy of Necessity – A Pedagogy of Contingency – Postscript – Post-postscript – Index.